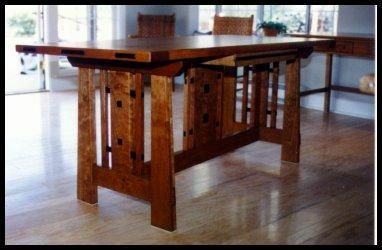 Craftsman Style Furnishings - Tables. 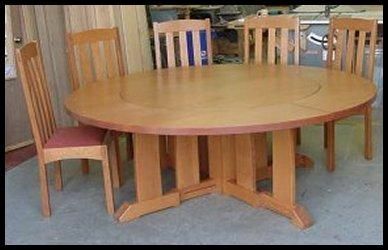 Designs range from early Stickley inspired dressers to craftsman style trestle tables and G & G inspired tables. All designs feature solid hardwoods like quarter sawn white oak, mahogany and cherry combined with hammered copper hardware and authentic detailing. 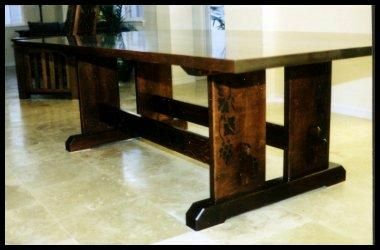 All of these furnishings can be made in any size required. Finished or unfinished. Companion chairs available. Need something no one else offers? Call and speak directly to me and I will create just the right piece for you. See our website for more photos, ideas and options. Dimensions: Sized to fit customers needs.